Cecil College CIO Stephen diFilipo is a believer in Glass. Here's how he thinks it can change education. Is higher education ready for another round of disruption? It better be, because Google Glass is here. Stephen diFilipo, vice president and CIO of Cecil College in North East, Md., is already finding many ways to implement the device in the classroom. The response so far, he says, has been overwhelming. EdTech caught up with diFilipo recently to talk about Google Glass and the future of higher education. EdTech: Why did you get Google Glass? diFilipo: One of the four stated initiatives in Cecil College's strategic plan directly addresses the use of innovative technology in the classroom. Google Glass fits that initiative, but we're also investigating Leap Motion controllers and Microsoft Kinect for Windows, and we just ordered the Occipital 3D scanner for the iPad. We are always looking at low-cost-entry technology that we could use in the classroom in a meaningful way. Follow diFilipo on Twitter at @S_dF. We have two pairs of Google Glass on campus. I have one of them, so I've been exploring different uses and acting as an advocate for this and other technologies. I've given at least a half-dozen presentations at local schools, ed-tech startups and teacher groups. Our Visual Communications program has the other pair, and they will be exploring how to use the technology to support the teaching of photography and video. They will also be using Google Glass to record instructional videos about how to use digital single-lens reflex cameras. EdTech: Are you getting support from Google? Where do you turn for resources? diFilipo: We are fortunate to be close to Google's New York office, where I've been several times to participate in training events. There is an active Google+ community for all Glass owners, and there’s the Google Glass in Education community. It's a smaller group, but we stay connected and informed there. This is where I found out about Virginia Tech and Ball State University's Glass programs, and they are doing some very cool stuff, writing programs and developing applications using the developer kit. EdTech: What's the feedback from students and faculty members? diFilipo: It’s been all positive so far. There is a concern about privacy, but that happens with all smart devices. People don't want to be recorded without knowing about it, so that is a concern. I've spoken to several business classes about Google Glass, and the response has been enormous. Every student wants to know how they can get a pair. The faculty are very interested, especially in our Visual Communications department. My first presentation with that group took three hours because of all the ideas being thrown around. EdTech: How do you envision Google Glass being used in the classroom? diFilipo: Well, it records lectures, creates content, performs Google searches and drafts study guides. That's the same general functionality as a laptop or mobile device, but as [Google co-founder] Sergey Brin said, Google Glass removes the technology between the user and the experience. It becomes seamless. There are already teachers doing amazing things with Google Glass. Take Andrew Vanden Heuvel, for example, who is using Glass to record short instructional videos on STEM topics. Here's an example of how we could use Glass to teach a geometry lesson: Imagine you are standing at a pool table, wearing Google Glass. The software could see the felt and the cue ball and help you line up a shot. An image of a line appears on the screen of the Google Glass and changes, depending on where you stand. The software can figure out which shot has the highest probability of being made and how hard to strike the ball. It's the abstraction of geometry, with a functional use in the real world. All of this software has already been written for the iPad. I've already been in touch with my friends at Ball State and a company that writes Glass apps to see if we can come up with a grant to fund this project. Here's another example: Google Glass can do language translations on the fly. If I speak English to my Google Glass, it can translate it to nearly any language. Another app that is currently in development could do the same thing for sign language so that I could watch someone sign, and read their words on my Glass screen. Here's one more reason why Google Glass could be a game changer for education: Google just announced they will be coming out with prescription lenses. If students wear these, a proctor or professor can't tell them to take them off to take a test. It starts to change the conversation about how we teach and test our students. EdTech: Who will supply these devices? diFilipo: This is the next generation of BYOD. Everything that you do with Glass revolves around your Google account. That's a downside of any personal device, and it really means that it only works in a BYOD model. Not every student will have one, but not every student has a smartphone or tablet either (although we are approaching a 75 percent ownership rate). My personal belief is that these will become as popular as smartphones and will eventually be in every classroom. EdTech: Any other tech initiatives on the horizon? diFilipo: Everything is Mobile First. We're rolling out two-way texting for our students, and we are transitioning our websites to responsive design. 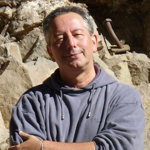 Follow diFilipo on Twitter here, and check out his blog.